Well, they had one, and it seemed to go over rather well, so they decided to make another. The second issue of Tabletop Gaming Magazine is now available for your reading pleasure. As before, they cover a wide range of games and gaming genres within their pages. 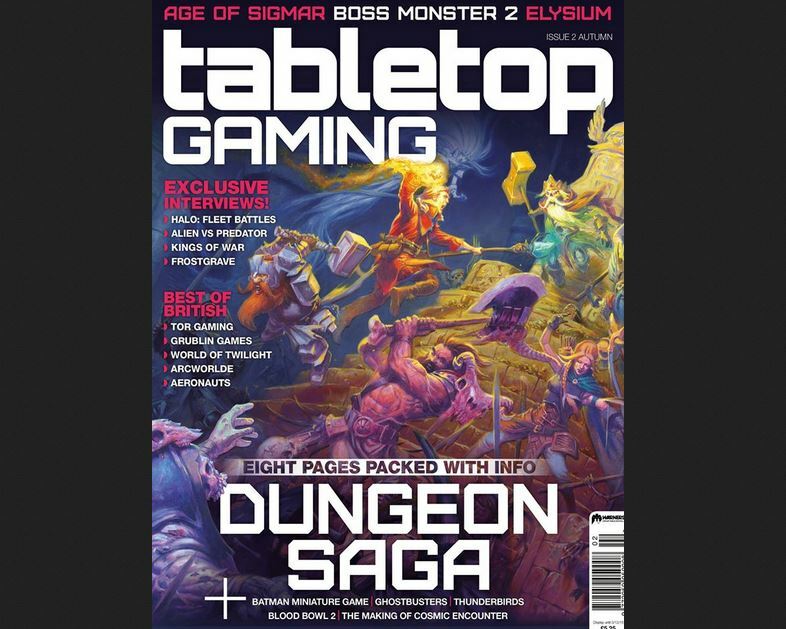 This issue has articles such as an eight page interview with Jake Thornton about his work on Mantic's Dungeon Saga game. There's an article about Cosmic Encounter, a Guild Ball painting guide, a Beyond the Gates of Antares battle report, and a look at some of Britain's most-celebrated game designers. That and more in Issue 2.